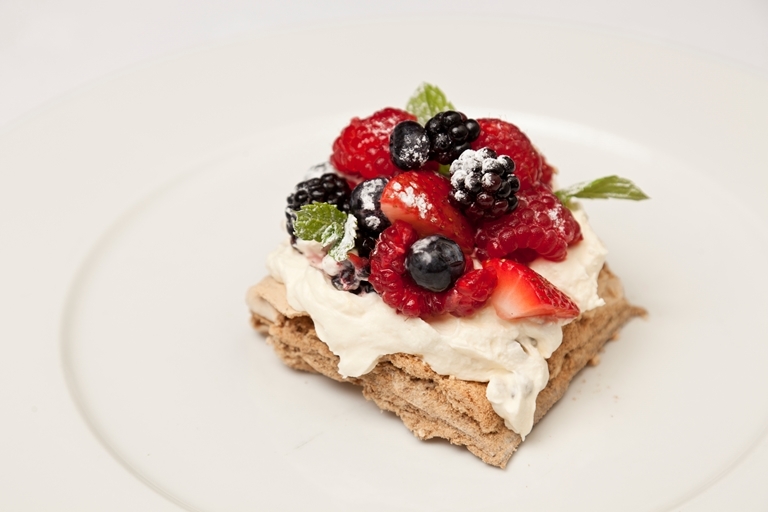 Galton Blackiston shows how meringue makes the perfect ending to a meal, satisfyingly sweet yet light and crisp too. This is a unique way to combine after-dinner coffee with a dessert that still maintains the flavour of coffee, but pairs with fruit flavours like passion fruit. With this meringue recipe, make sure your bowl and whisk are spotlessly clean as any traces of fat will prevent the egg whites from fluffing up properly.